Beginning a new 12 week weight loss workout program may sound tedious, but being physically active can be more enjoyable than you think with the right weight loss plan in place. Take several small steps to get started, and build up endurance and intensity as you go. Fit Father 30X (FF30X) is a plan developed for busy fathers seeking convenient, tailored-made weight loss workout plans without the hassle of creating your own diet and exercise regimen. If you’re unsure about trying a newly structured program, try the FF30X free 1-day metabolism boosting workout to get a feel what a results-driven 12 week weight loss workout plan for men looks like. Making dietary changes is perhaps one of the most important things you can do to successfully lose weight. That’s because eating too many calories means even if you’re working out regularly, you won’t see the weight come off. Instead of worrying about all of the foods you shouldn’t eat during weight loss, instead, focus on all of the healthy foods you’ll include at each meal and snack. When you’re eating well-balanced meals, you’ll likely experience fewer junk food cravings. Drink water before each meal or snack (about 2 cups) so you’ll feel full and eat less. Fill half of each plate with non-starchy veggies (leafy greens, green beans, tomatoes, peppers, mushrooms, onions, broccoli, asparagus, etc. ), and the other half with protein and starches. Include a healthy protein (fish, chicken, seafood, eggs, low-fat dairy, or legumes) at each meal and snack to help boost satiety. Choose avocados, olives, nuts, seeds, hummus, or plant-based oils as healthy fats to complete each dish and increase satiety. When you experience junk food cravings, try going for a walk before you eat. Get at least 7 – 9 hours of sleep in each night to avoid hormone fluctuations that can increase appetite. Aim to eat at least 1,500 to 1,800 calories a day to lose about 1 – 2 pounds weekly. Consider using meal replacement shakes to meet daily nutrient needs without the extra calories. 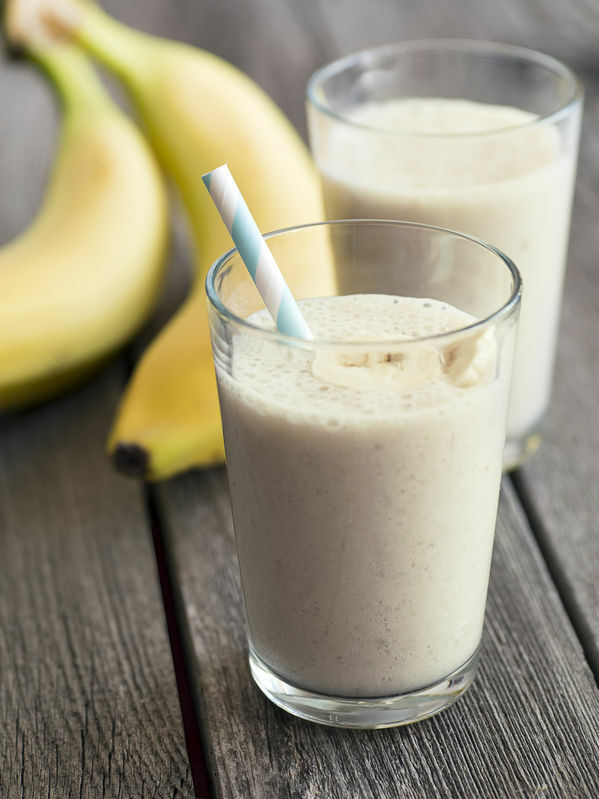 Blend all of the above ingredients together in a blender, and enjoy! Use this shake (or something similar) as a replacement for breakfast or lunch when you’re in a hurry or on the go. It also works well as pre- or post-workout fuel. To give you an idea about what a healthy weight loss meal looks like, use the sample menu below. Doing so helps you brainstorm ideas for customized weight loss menus based on your individualized food preferences. Keep portion sizes small so you can easily stay within your 1,500- to 1,800-calorie daily allotment. If you're very active, you may require additional calories to drop weight at the recommended rate of 1 – 2 pounds per week. Don’t forget to drink water before meals and snacks, to satisfy you with fewer calories. Setting a weight loss goal is the first step in beginning your 12 week weight loss plan for men. In fact, goal setting boosts your chance of achieving significant weight loss, especially long term, according to a 2016 study published in the Journal of Human Nutrition and Dietetics. Doing so gives you something to work toward, and motivates you along the way. The amount of weight you want to lose to meet your goal weight might be 10, 20, or even 50 pounds (or more). However, a safe, healthy rate of weight loss is about 1 to 2 pounds per week. Therefore, your 12 week weight loss goal might be to drop 12 to 24 pounds at the end of your 12 week program. Be sure to set a long-term weight loss goal as well. Schedule weight loss workouts (set aside time each day) into your regular routine. Write down your allotted workout times on a calendar. 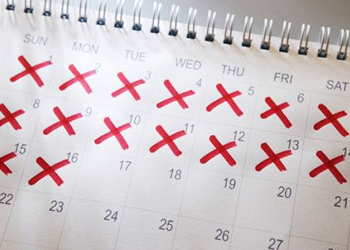 On the calendar, record the day and time you’re setting aside for workouts. Write down several activities (such as taking the dog for a walk, doing yard work or house chores, or practicing sports with your kids) you'll do daily — in addition to exercise sessions — to keep you active all throughout the day. Aim to work out most days of the week. You might begin by working out just 20 minutes 3 to 4 days weekly, and work up to exercising for 30 – 60 minutes 5 or 6 days a week. Aim to complete at least 30 minutes of cardiovascular exercise most days of the week. Resistance train (lift weights or use body weight or resistance bands) most days as well, but change up the muscle groups you work so you aren't exercising the same group of muscles two days in a row. Your individualized diet goals will vary depending on which area of your diet you’re struggling with. Eat sweets for just one day each week (or avoid sweets entirely). Replace sodas with water, coffee, or unsweetened tea. Replace at least one meal with a meal replacement shake. Drink at least 16 cups of water every day. Drink 2 cups of water before each meal, and 4 cups of water when you first wake up in the morning. Fill up on veggies and protein before you eat starchy foods (such as whole grains or potatoes). Track calories for the first week or two during a 12-weight weight loss program. Eat at home (vs. in a restaurant) at least 5 – 6 days each week. Go for a walk when you’re getting ready to eat junk food due to emotional reasons or because you’re bored (eat only when you’re truly hungry). Sleep at least 7 hours each night to keep your appetite hormones in check. Start by setting a few simple dietary goals, and add to your goal list as you continue on in your weight loss journey. Your weight loss workouts should be based on activities you most enjoy doing. That way you’re more likely to continue on with a 12 week weight loss workout plan long term. Whether you’re hitting the gym for workouts or prefer to exercise at home, effective weight loss workouts for men have several things in common: the exercises chosen change from day to day to prevent boredom, reduce muscle staleness, and maximize weight and fat loss results. The exercises above are just examples — if you find others you love feel free to incorporate them into your 12 week weight loss plan. You can complete functional fitness workouts with a fitness instructor or trainer, or by using a circuit training video from the comfort of home. You can change up exercises in your circuit training workout routine however you'd like to. If you're working out at home, the equipment you own and space you have available may limit you to certain functional fitness exercises, and that's okay! Owning a few dumbbell weights and a medicine ball comes in handy for at-home workouts. There’s a lot to think about when beginning a new 12 week weight loss workout plan for men. That's why joining an organized program can help you reach weight loss goals and take the guesswork out of meal planning, menu planning, and creating your own fat-burning workouts. Joining the FF30X program is an excellent place to start, as it’s specifically designed for men over 40 with busy schedules. You’ll not only receive customized meal plans and fat burning weight loss workouts, but also motivational support — which studies show is an effective weight loss strategy, especially long term. Don’t feel overwhelmed when trying a new 12 week weight loss workout plan. Begin slowly, choose activities you enjoy, and don’t overdo it. As long you burn more calories than you eat on a daily basis, you should see the weight melt right off. Weight loss and achieving the slim, fit body you deserve has never been easier! A 15-year freelance writing veteran, Erin is a registered dietitian and health educator who is passionate about health, fitness and disease prevention. Her published work appears on hundreds of health and fitness websites, and she’s working on publishing her first book! Erin is a wife and mom of two beautiful children. *Please know that weight loss results & health changes/improvements vary from individual to individual; you may not achieve similar results. Always consult with your doctor before making health decisions. This is not medical advice – simply very well-researched info for creating a weight loss workout plan for men.